Packages & Pricing | Maine Sea Duck Hunting with Eiders Down, Inc.
We handle no more than six hunters at one time, so each guest gets personal and experienced treatment. We strictly adhere to all game laws, and no alcohol is allowed while hunting. An additional $100.00 per hunter. Eiders Down Guide Keith, Jamie and Bill all have worked on the North Atlantic Ocean off the Maine coast for 25 plus years and we pride ourselves on being able to offer one of the safest waterfowl hunts on the East coast. Your safety is our number one priority. 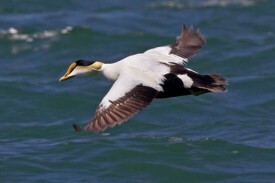 Although uncommon, in the event that sea conditions prevent us from safely conducting your hunt Eiders Down, Inc. stands by it’s policy of not refunding a days fee. We will do our best to provide other activities for the day or reschedule he hunt to a later date.